AMERICA/MEXICO - The Bishops to presidential candidates: what will they do for human rights, violence, poverty? Cuautitlán Izcalli (Agenzia Fides) - "The Catholic Church, concerned about the well-being of the people of Mexico, wants, in these upcoming elections, to promote dialogue and the participation of citizens, but above all, wants to contribute to the strengthening of confidence in favor of democracy". 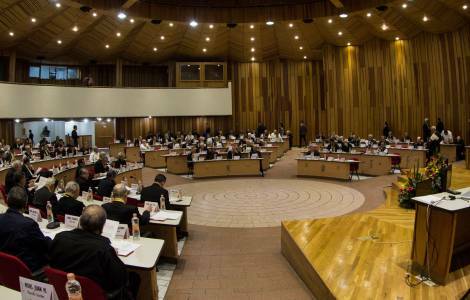 This is stated in the press release of the Mexican Episcopal Conference (CEM) sent to Agenzia Fides, which informs the meeting of four presidential candidates with the Bishops in the framework of the 105th Plenary Assembly of CEM, which began the 9th and ends today, April 13th. 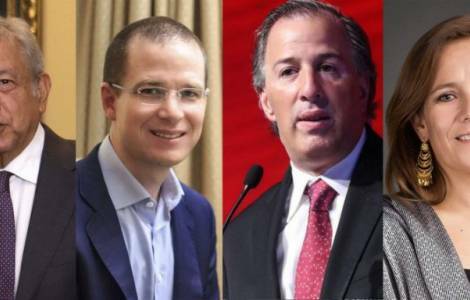 During the private meeting, which took place yesterday, Thursday 12 April, at the headquarters of CEM, in Cuautitlán Izcalli, the candidate of the coalition "Por México al Frente", Ricardo Anaya Cortés, took part, while today Andrés Manuel López Obrador of "Juntos Haremos Historia", José Antonio Meade of the "Todos por México" coalition, and the candidate without a support party, Margarita Zavala are expected to attend. During the meetings with the candidates, the Bishops of Mexico intend to expose important issues such as: "respect for all human rights in the nation, more just, supportive and participatory, with an economic system that works to reduce poverty and social inequality, without forgetting the strengthening and conditions of a dignified life for families", emphasizes the note. In addition to asking the candidates to work so that "the country is characterized by a strong rule of law, promoter and defender of human dignity", the Bishops recall that candidates must put in first place "transparency and accountability" in the foreground, and make every effort to "drastically reduce impunity and corruption". Questions that the Bishops already addressed in their message on the occasion of the 2018 elections (see Fides 21/3/2018). Mgr. Ramón Castro, Bishop of Cuernavaca, speaking to the local press, commented that he wanted to ask the presidential candidates how they intend to control violence and crime in order to recover the rule of law. He highlighted that the population is tired of insecurity and is afraid to denounce because people do not have enough trust in the institutions. "We will ask them what they will do to eradicate poverty, inequality, crime, violence and impunity", said Mgr. Castro. For Mgr. Raúl Vera, Bishop of Saltillo, impunity and corruption have contributed to increasing violence in the country, which is why these problems must be urgently addressed. For his part, Archbishop Rogelio Cabrera López, Archbishop of Monterrey, declared that "this meeting is an opportunity for us, as Pastors of the Church, to express our concerns and ask questions on specific issues that affect the pastoral activity of our diocese".